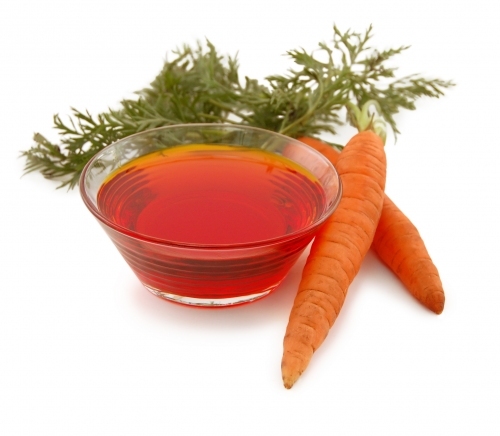 LOO'S NOTE: When making carrot oil from scratch, you will find that you are using a lot of carrots to make a small amount of oil. The beauty of the below recipe is that the addition of an oil to your process makes the creation easier and increases your yield, though it is obviously a mix of carrot oil and the oil you chose. A similar process can be applied to make coconut oil and avocado oil. Wash and peel the skin of the carrots. Grate carrots with the use of a hand grater or food processor. Place the grated carrots in a crock pot and pour the oil of your choice to cover. Note: I used 2 1/4 cups of oil or 18 ounces. On your crock pot’s lowest setting, maintain a warm temperature — infusing the oil for a full 24-72 hours. Note: I use the “warm” temperature setting on my crock pot. Try not to allow the temperature of the oil to rise above 100-105 degrees farenheit. You will notice the oil becoming orange in color. Once the infusion process is complete, pour the carrots and oil mixture through a fine mesh strainer or cheesecloth and strain. Reserve the oil and compost the carrots. Label and store the oil in a glass mason jar in the refrigerator until ready for use. Will keep for 6-8 months if stored properly. For more recipes like this, check out Frugally Sustainable. can we use it as food? My guess would be yes, but I'm really not certain.